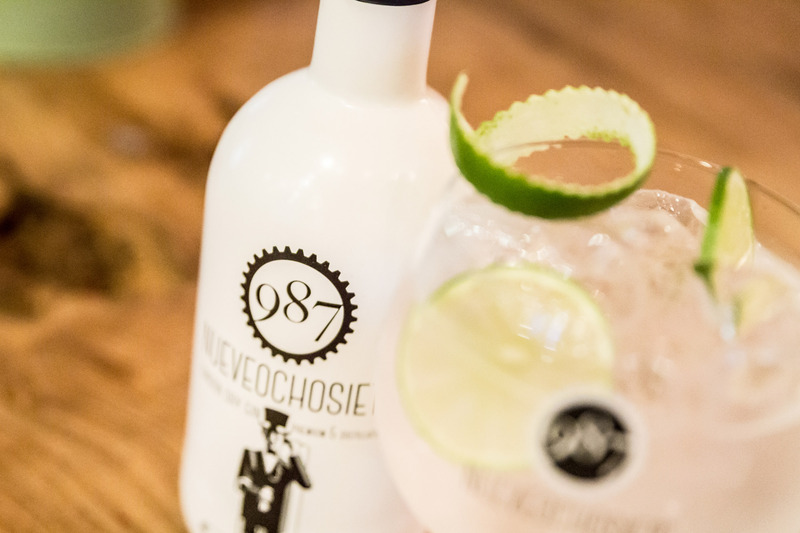 987 is a new, 100% distilled, London Dry Gin, with hints of aromatic herbs and citrus fruits. It is the result of 8 distillations, performed in copper pot stills using the maceration of 14 botanicals and citrus fruits, including as well as Juniper and Vanilla Pods, Thyme, Bitter Chamomile, Lavender and Mencía Wine, all of them from El Bierzo. Our botanicals and citrus fruits are independently distilled twice in an 1880 copper pot still.  The full grain alcohol used in its production is distilled five times, free of genetic manipulation, and comes from one of the best distilleries in Europe. After that, it is slowly filtered and bottled by hand. Transparent Colour, sparkling lights in its clean and bright bottom. In Nose: Symphony of juniper and fresh herbs aromas with flowery notes and sweet and spiced feelings, well put together under a layer of wine notes. In Mouth: Soft, creamy and oily at first. Explosion of Juniper and fresh herbs flavours well combined with Mencía wine touches. Later turning slightly sweet, pleasantly spiced with flowery and vanilla notes. Spice the drink with Green lemon. Add 5ml of 987. If by mistake more than 5ml of gin is added, it will not be a problem; the drink will accept it. Fill the glass with ice. If it is 60 g, thick ice, the kind you find in a petrol station, even better. This way we will keep it from getting too watery. Add tonic. Normal or double carbonated Schweppes. Serve it carefully supported by a little spoon, if possible, to keep it from losing carbonic acid. Stir the cocktail slowly and put some Green lemon twist all over it. It is a premium Gin with the same quality as its older sister 987 Gin. The maceration of the botanicals takes place in a mixture of grain alcohol distilled five times and osmosis water for thirty days. After the maceration, the heads and tails are separated and distilled in 1880 copper pots, which will provide the distillates used in the composition of the gin. Finally, the distillates, five-time-distilled grain alcohol and osmosis water are mixed until they reach 40º. The result is filtered and stored for fifteen days in stainless steel deposits before being bottled. The subtle fruit, sweet touches we get from Cherry have successfully been combined with 8 exotic botanicals, all of them soft and modern, have perfectly adapted to create a new, unique and incomparable flavour. The result is astounding. 987 Lollipop shows the funniest and naughtiest side. A look at the sweet and candied flavours that remain on our minds since childhood. It is something that will leave nobody unmoved because it is a brand new taste in the world of Gin. 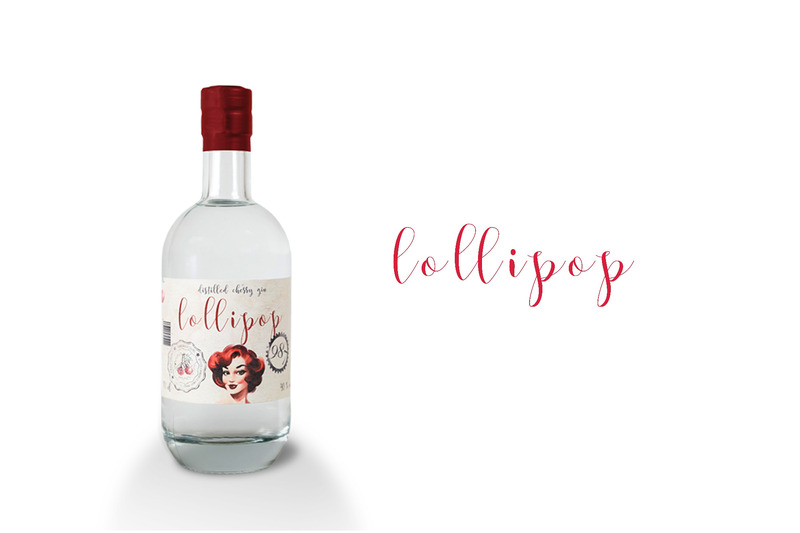 987 Lollipop aims at the people who knows how to taste good gin, but the Cherry touch makes it perfect for the person who never dared to enter the world of Gin. 987 Lollipop and its soft aroma and sweetness are meant to get people instantly hooked on because of the imaginative and unknown hints. 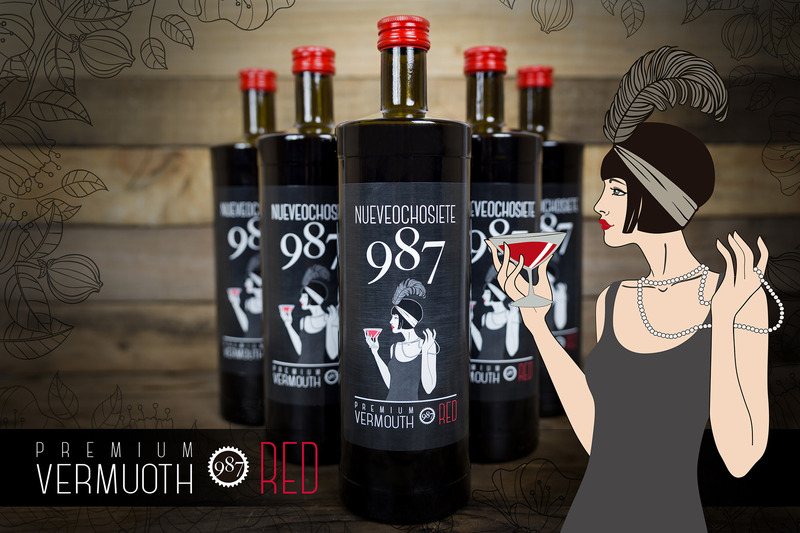 In Nose: Juniper and fresh herbs aromas combined with beautiful notes of Cherry. In the mouth: festival of flavours such as juniper, balsamic touches of herbs and a fruity, cherry essence with a soft and slightly sweet end. However, if you want to know what you will feel when tasting it, you only need to have a look at its name, because Lollipop defines it 100%. Find your Lollipop moment and be a child again. Straight or mixed with lemonade, tonic, coke, orange juice and cocktails. Vermouth made with White Wine, macerated with 12 different botanicals such as gentian, wormwood, boldo, cinnamon, coriander, thyme, vanilla, cherry, orange skin and secret, special touches from some of our distillations. Later it is mixed with sugar and finally filtered, settled for a few days and bottled. This Vermouth has a very soft entrance also excellent on the palate. Very easy to drink. Classic aromas from different herb macerations like thyme are enhanced after some time. Outstanding touches of orange, cinnamon and vanilla. Classic preparation. Either with ice and an olive as a starter or in Cocktails (with Rum, Whiskey…). We macerate 14 botanicals, 2 of them much of a secret, including Thyme, Bitter Chamomile and Lavender from El Bierzo El Bierzo,carefully mixed with Mencía Wine distillation.